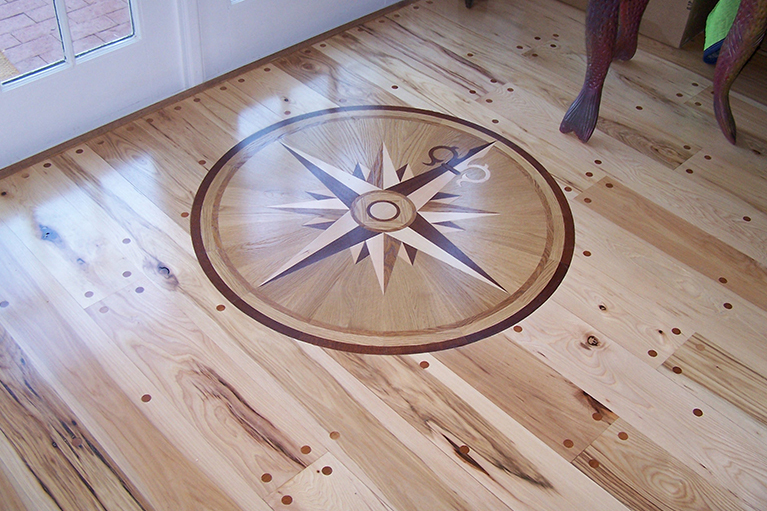 Put your own unique and custom style into your hardwood flooring with a custom inlay. 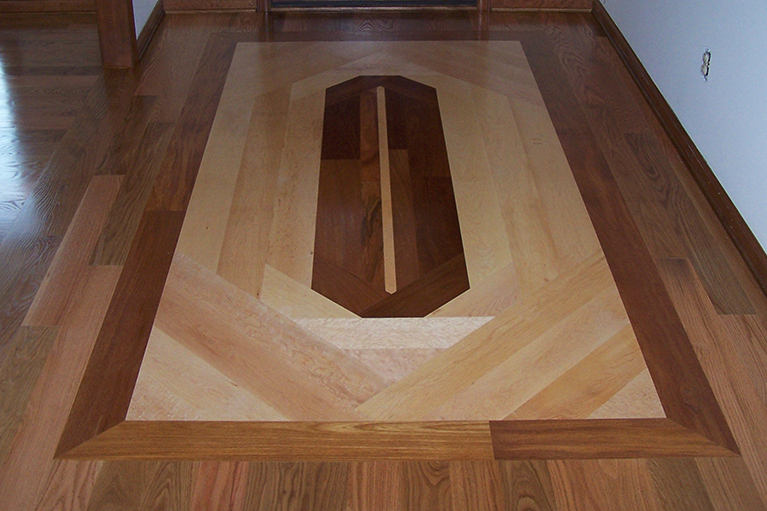 Kings Custom Hardwoods creates unique and custom hardwood floor inlays. These custom inlays are beautiful and impactful in any space. 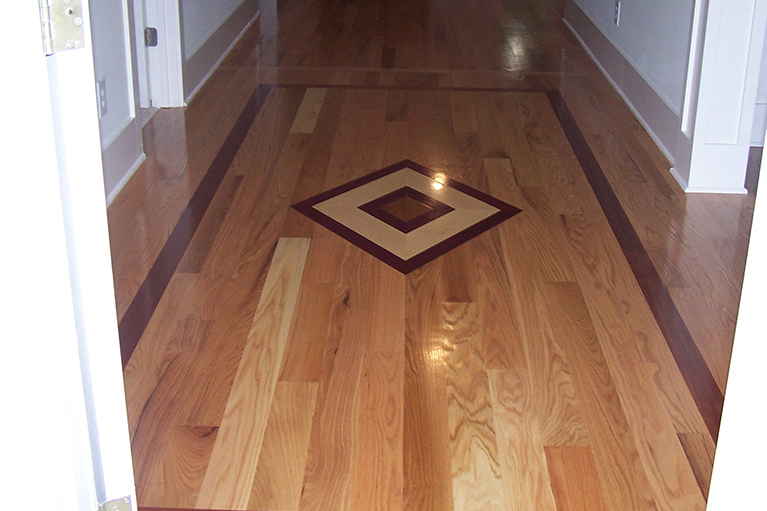 Call today to schedule talk about your hardwood floor project.